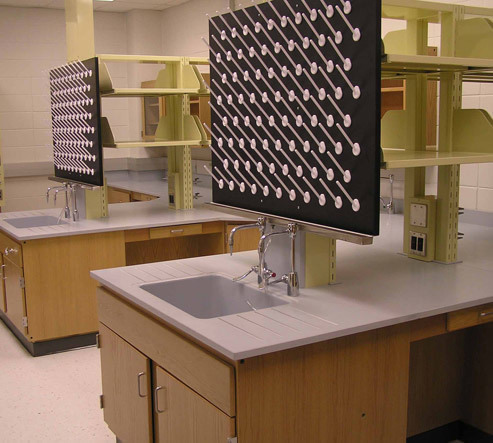 Solid phenolic laboratory peg boards or drying racks are fabricated from Trespa Top Lab Plus - chemical resistant laboratory sheet materials, to meet the demands of end-users that require a strong and chemical resistant board for drying beakers, test tubes and other apparatus in the work or school environment. 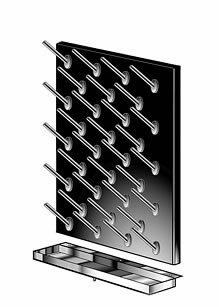 Peg boards or drying racks are made from 1" thick (25mm) sheet stock, with 3/8" (9.525mm) diameter holes, 2 prong removable polypropylene pegs and stainless-steel drip troughs with drain outlet and hose. 1. 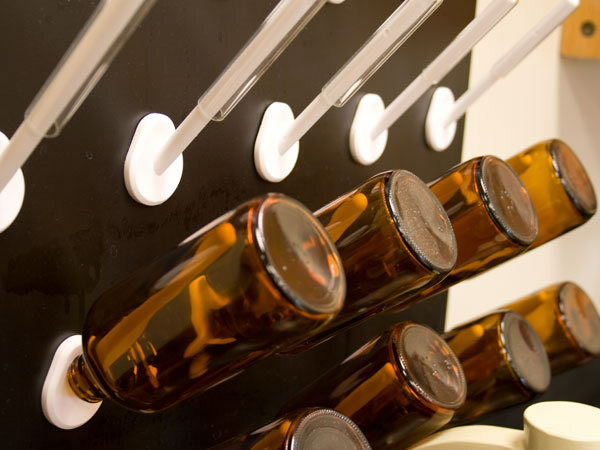 Comply with requirements for phenolic resin pegboards specified under laboratory tops in this Section and as described herein. 2. Drying Rack bodies shall be of one inch thick 1" (25mm) black color with a 3/16" inch to ¼ inch radius on all edges and corners. Each drying rack shall be of the size and with the peg arrangement shown on the Laboratory Furnishing drawings. 3. 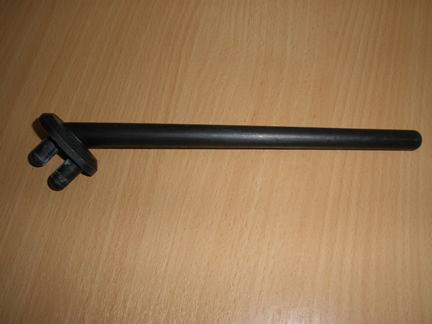 Pegs shall be of injection molded black or white polypropylene. Pegs shall not be bonded into the body, but shall be held in position by mechanical design and easily removed when necessary. Type 304 stainless steel screen of 14 X 14 mesh, .02 wire, optional. attachment to support structure, by installation contractor. 6. Provide clear, tight-fitting hose to drain from drip tray to sink. Non-standard size Trespa TLP Peg Boards are available to meet any specification or requirement. Produced in all Trespa colors with industry standard black, silver gray or mystic white in stock. in lengths of 5" (127 mm); 6.5" (165 mm) and 8" (200 mm). 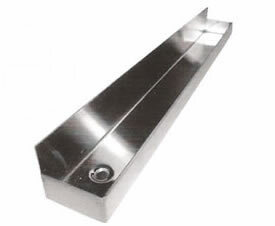 Dura-Line Stainless Steel Troughs (SST) are produced from 20 gauge, type 304 stainless steel #4 finish that mount from the underside or face mount to a solid phenolic Trespa TLP or Duratop epoxy style pegboard with a 1" (25 MM) flange. All troughs come complete with three feet of clear, flexible PVC drain hose tubing and have pre-drilled holes for easy attachment. 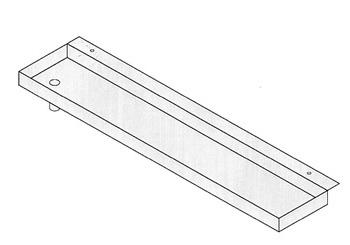 All Troughs are available in 2" (50 mm) or 4" (100 mm) width and 1" (25 MM) depth. Advise mounting preference, under mount or face mount, when ordering.